Located in Sultanahmet, this villa is steps away from German Fountain, Hagia Sophia and Sultanahmet Square. Basilica Cistern and Hippodrome of Constantinople are also within 5 minutes. Sultanahmet Station is only a 3-minute walk and Gulhane Station is 7 minutes. Located in Kartal, this villa is 2.9 mi (4.7 km) from Aydos Hill and within 6 miles (10 km) of Istanbul Karting Park and Maltepe Park Mall. 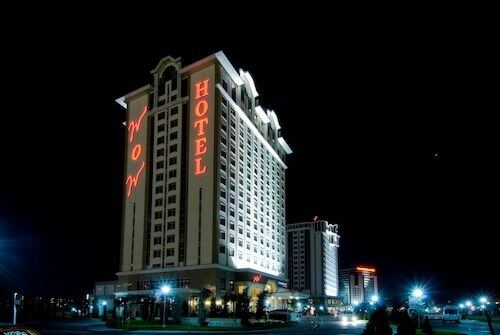 Viaport Outlet Shopping and Neomarin Shopping Mall are also within 9 miles (15 km). 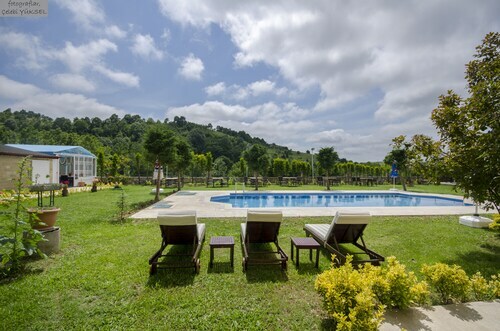 Situated in Sile, this villa is within 2 miles (3 km) of Agva Yeni Mosque, Agva Beach and Aglayan Kayalar Park. Kilimli Koyu is 1.4 mi (2.3 km) away. 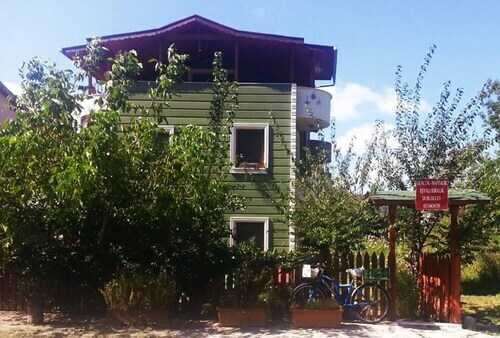 Located in Kadikoy, this villa is within 3 mi (5 km) of Bagdat Avenue, Marmara University, and Watergarden. Emaar Square Mall and Suadiye Beach are also within 3 mi (5 km). Istanbul Erenkoy Station is 17 minutes by foot and Istanbul Goztepe Station is 21 minutes. 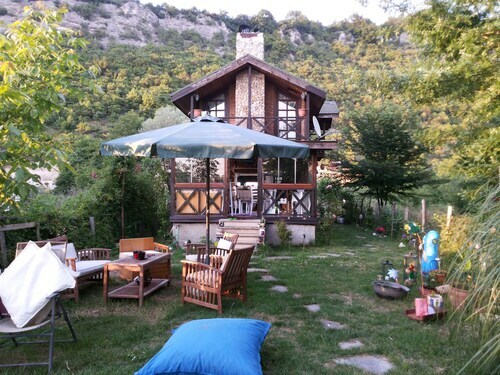 Situated in Sile, this villa is within a 10-minute walk of Agva Beach and Aglayan Kayalar Park. Agva Yeni Mosque and Kilimli Koyu are also within 3 miles (5 km). 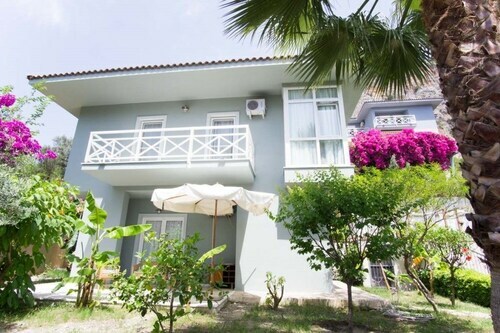 Situated in Sile, this villa is within a 10-minute walk of Agva Yeni Mosque and Agva Beach. Aglayan Kayalar Park and Kilimli Koyu are also within 3 miles (5 km). 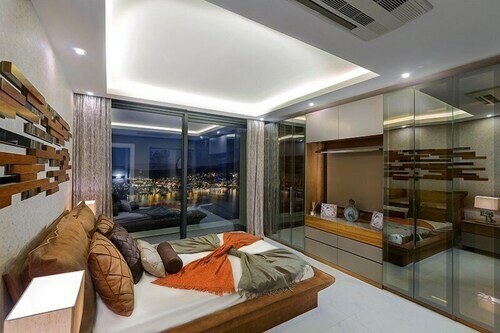 Villas might just be the most luxurious accommodation you could find in Istanbul. Whether you're after a glimmering pool in a palm-shaded garden or a terracotta patio topped with enticing sunbeds, these sorts of stays can really help you channel your inner jet setter. It's also common to get big lounge spaces and interiors that are laden with thought-provoking art and interesting decor. What's more, the added level of privacy that comes with a villa stay means you won't have to share any of those with anyone. 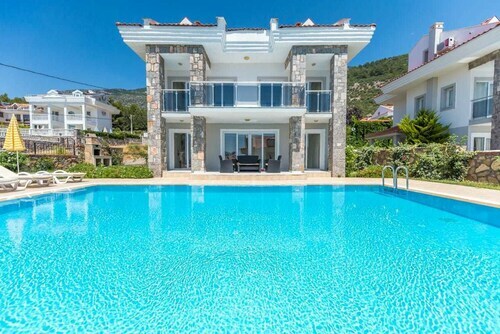 Istanbul Villas and villa holidays in general could also be your ticket to a pad that oozes style. After all, there are villas all over the globe that channel the vibes of their destination, and that kind of aesthetic sensibility can certainly be found around these parts as well. Far from offering just another generic space to bed down in, a villa can often evoke the flavour and heritage of the destination, and be a real talking point for you, your friends and family. Sound good to you? 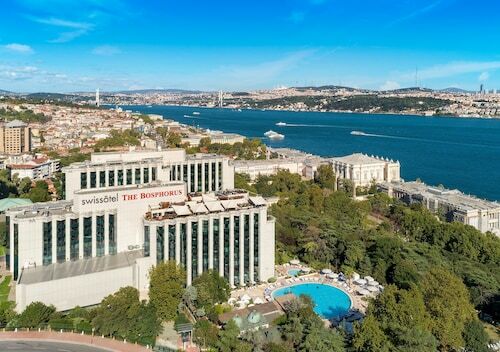 Just use ebookers to seek out those sorts of stays by searching the site for the most characterful properties on offer in Istanbul. Whether you're seeking a romantic place for a couple's getaway, or a home that's big enough for the whole family for a fortnight in the summer, searching ebookers for the top Istanbul Villas is a great way to go. We've made it as easy as we can for you to pinpoint the pad that's perfect for you. You can use our search filters to reveal the places that have all the features and amenities you need. Or, you can zoom in and out of the destination on our travel map to discover all the villas in more off-the-beaten-path corners of the region.